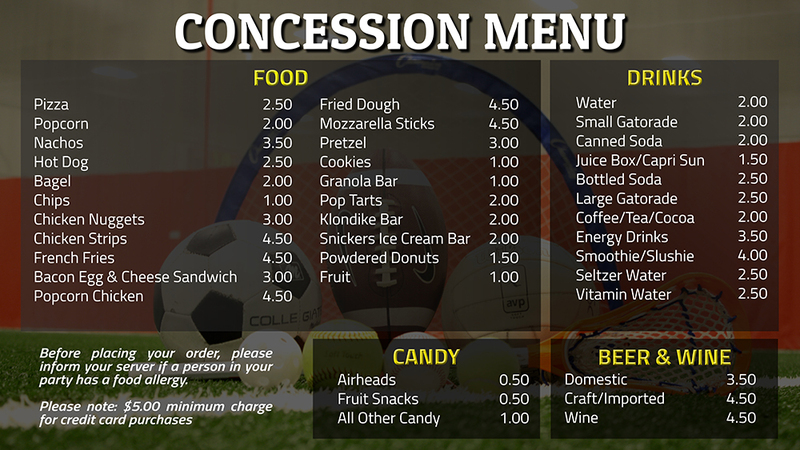 We have a full concession stand at both facilities offering snack foods, fried foods, beverages (child and adult), and a variety of candies to replenish that sugar lost while playing! We use top quality fried foods such as Tyson and make every meal to order, be prepared to wait for your fried foods. We also offer a selection of domestic, imported and craft beers and a variety of wines.